Walk Tall! 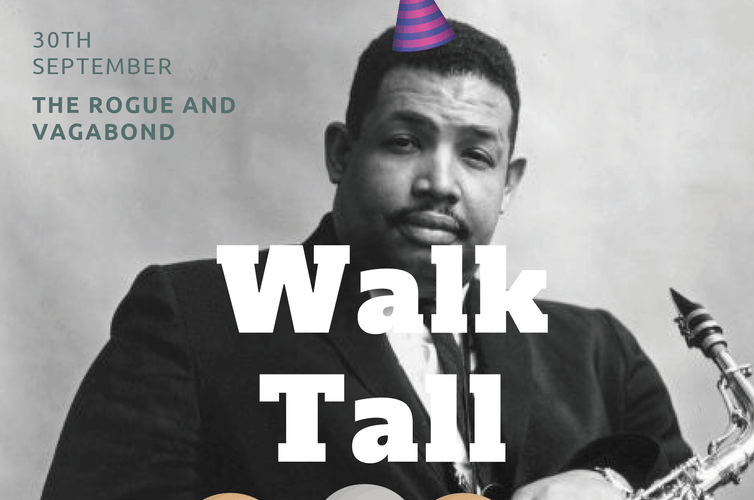 is here to celebrate the great Julian "Cannonball" Adderley's 90th birthday with you and share in some of his great, uplifting music. Freshly back from touring Eastern Europe as the lead alto for JM Jazz World Orchestra, the world's leading youth big band, bandleader Frank Talbot will count you down through highlights of Cannonball's Discography from bebop beginnings to commercial success. Come down and have a pint in celebration, and join us as we spread a little of the great man's positivity.